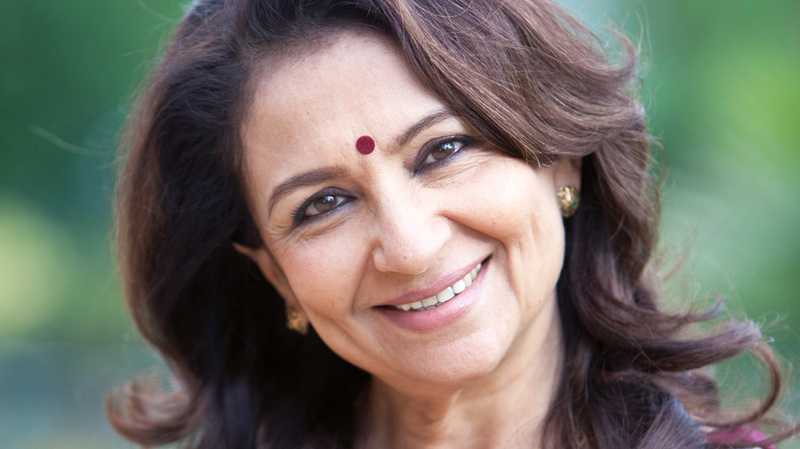 “Are my answers too long?” Sharmila Tagore asks halfway through her answer to the first question about her esteemed lineage (her great grandfather was responsible for bringing Cubism to India whilst her grandfather was the poet laureate Rabindranath Tagore). The truth is one could listen to Sharmila talking all night; eloquent, polished and engaging, whether it was recounting her time in regional cinema or as one of the reigning superstars at a time when art house and commercial cinema were two different worlds, this Q&A was full of amazing anecdotes and stories that as director Sangeeta Datta put it “evoked lost worlds“. A large portion of the Q&A centred on Sharmila’s work with Satyajit Ray; after a clip from Apun Sansar (The World Of Apu) was shown (which also saw Sharmila rightly questioning why a subtitled version was not shown for all the non-Bengali speakers), she described in detail the direction she had been given and also quoted key dialogues, commenting how economical the words used were but their impact was devastating when delivered under Ray’s direction. A clip from her next film Devi was equally fascinating, especially when Sharmila pointed out they had been shown out of order and presented the context herself. However, it was her work in Hindi cinema in the 70’s that seemed to really get the audience interested – what it was like to work with Rajesh Khanna (did you know Roop Tera Mastana was shot in one take as they only had a few hours to shoot it in), Shammi Kapoor (unpredictable; he would do one thing in rehearsal and then improvise in the actual take) and how Deewana Hua Badal from Kashmir Ki Kali was the first song Sharmila lip synched to and found it challenging as Hindi was not her first language but living in Bombay helped her learn fast. 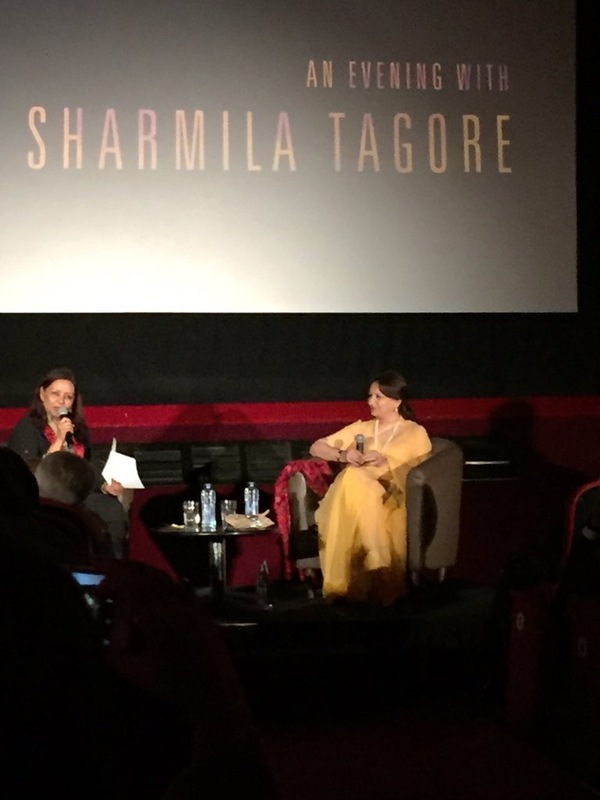 Then came questions from the audience which Sharmila took on with aplomb – praising Priyanka Chopra, Deepika Padukone, Kangana Ranaut and Vidya Balan when asked about current heroines whilst also reiterating she herself had taken roles where her characters had “agency till the end“. She also spoke about her recent visit to the Lahore Literary Festival as well as her time on the Censor Board, telling how she tried and failed to rebrand it as the CFBC rather than just the “censor board” as well as (in what was the line of the night) “politics divide but Hindi films unite“. Finishing on the notion that “films are a wonderful profession” and how she had managed to juggle motherhood and work at a time when it was not the norm, one audience member commented how Sharmila was like a representative for women now as much as she was at the height of her star power. With an incredible body of work behind her, felicitated with Festival Icon Award as well as being invited to be a member of the Academy of Motion Picture Arts and Sciences, it will be interesting to see what Sharmila does next. Wazir tells the tale of two unlikely friends – a wheelchair-bound chess grandmaster (Amitabh Bachchan) and an ATS officer (Farhan Akhtar). Both are brought together by grief and a strange twist of fate as part of wider conspiracy that has cast a dark shadow over their lives. 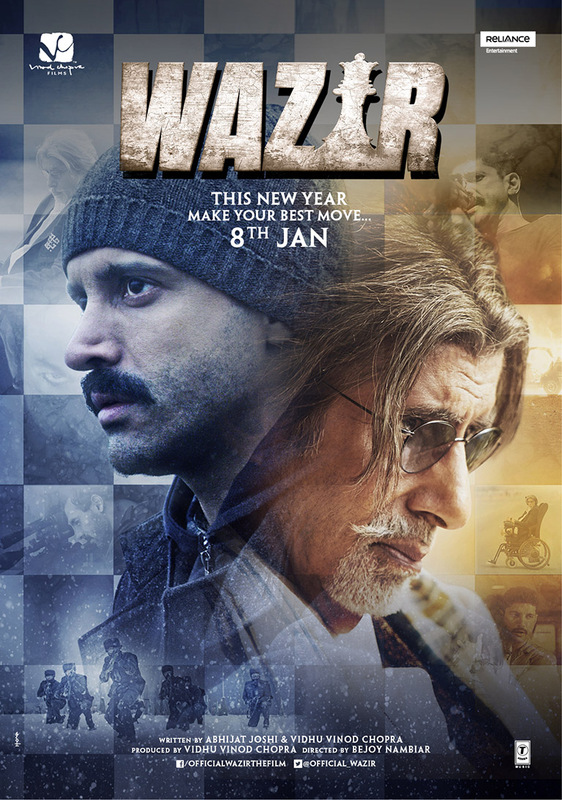 Wazir is a pulsating thriller, a moving character study and a gripping revenge story. 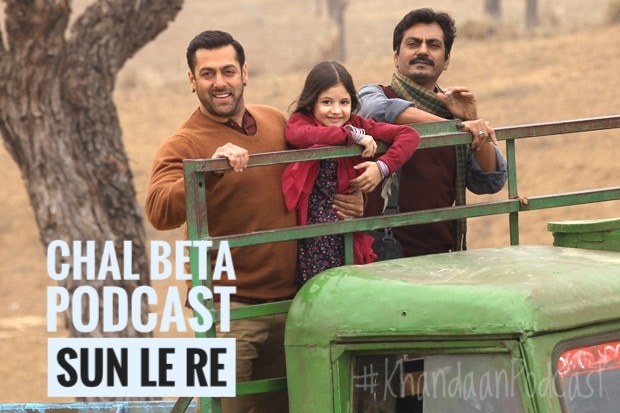 This episode we are joined by Sujoy Singha, also known as @9e3k on twitter, where we try to be as careful as possible and not reveal anything that isn’t in the trailer or promo’s. There is a spoiler warning from the 43 min mark, so if you haven’t seen the movie yet, you can still listen up that point. For those have seen it, let us know what you thought of uPodcast in the comment section below. You can listen/stream/download the episode below. Or subscribe to us in iTunes and never miss an episode. 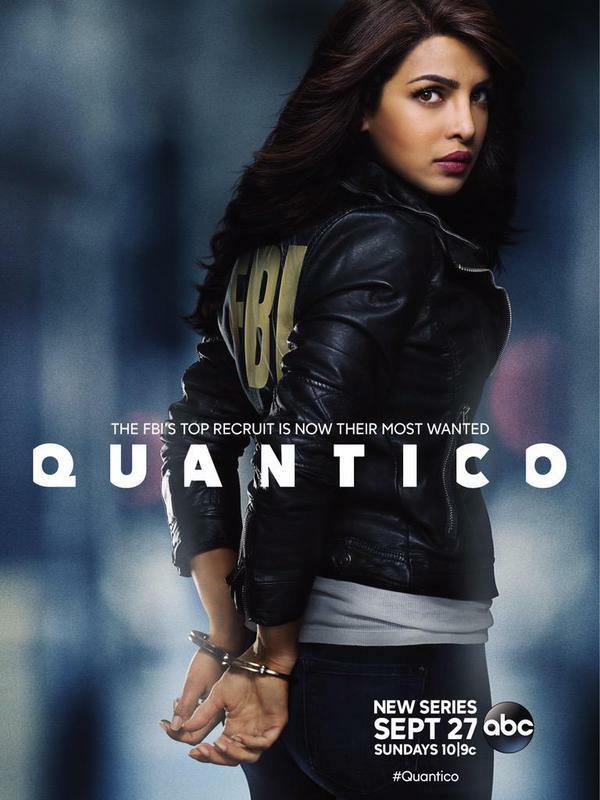 Priyanka Chopra US TV debut Quantico is a big deal! So much so that we needed to dedicate an hour just to dissect the first 2 episodes. We’re joined by Jay also known as @Bollybrit (Nominated as a finalist in the Best Blog Category at this year’s Asian Media Awards!) who is a pretty big Priyanka Chopra fan and of course Martin who saw her in our first ever Upodcast episode of Kaminey but had lost any recollection of seeing the movie. We talk about why Quantico is important from a diversity perspective as well as stepping stone for Bollywood. We review the first 2 episode in more detail, speak about the general intrigue, the action set pieces and how it stacks up to contemporary shows like Scandal and How to Get Away from Murder. We wrap up the podcast by talking about which level of Bingeability the show has and which other actors could possibly make the jump to Hollywood too. You can listen/stream or download the episode below. Or subscribe to our iTunes feed and never miss a show. Sultan’s teaser doesn’t reveal much…. A very short teaser released for Sultan, Salman Khan’s 2nd collaboration with YRF after the massive success of Ek Tha Tiger. Although we’re no fans of such short teasers or motion posters but we’re always willing to make an exception for Sallu Bhai. What is interesting is how Sultan’s been announced to release at a date that was already booked for Raees starring YRF (former) blue eyed man-boy SRK. YRF has moved away from the grand romantic movies that made SRK the star he is today so it’s quite surprising they would pull such a move. Although YRF is known for being quite aggressive with when it comes to locking in cinema screens as they did when Jab Tak Hai Jaan released and completely destroyed any chances of Ajay Devgn’s Son of Sardaar working. 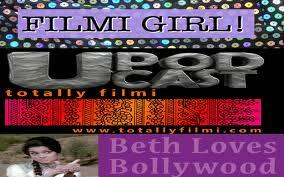 Both films are still in the near future so things might change but at the moment, we seem to be heading for a clash. Produced by Aditya Chopra and written-directed by Ali Abbas Zafar, the film will commence shooting in November and will release in Eid 2016. This Episode of Upodcast we are joined by the always wonderful Anisha Jhaveri in our search for Fanny. Before we get into our review of Homi Adijani’s follow of Cocktail starring the lumiscent Deepika Padukone, Arjun Kapoor, Pankaj Kapur, Dimple Kapadia and Nasseeruddin Shah, we veer of topic as we always do. We give our thoughts briefly about Deepika’s cleavage-gate with Times Of India, Asim goes on a rant about being disappointed by highly praised “Hindies” and Anisha talks about how watching Kick almost broke her as a human being. You can download/stream our episode below. Since then we haven’t heard too much about Kochadaiiyaan and today the first teaser has dropped and is frankly quite dissapointing. Animation has never been of too high a standard, because most of the times it is still seen by Indian audiences as something meant for children and not adults. And even though there have been collaborations with even with Disney, it has never been an attractive proposition on the box office. But what no one can’t, Rajni- can (t)! or that’s what we hoped for. We know this is just the first shots we are seeing but they are quite dissapointing shots, the realism spoken about still needs quite a bit of work and what we see doesn’t look much better than a video game (an old and cheap video game for that matter). Deepika Padukone, who we don’t see in the teaser, is paired opposite Rajnikanth, which i hope looks less creepy than it sounds and one place where having the movie animated migh pay off. Film aficionados across the world are gearing up for the futuristic fantasy event of the year with the release of the eagerly awaited film Kochadaiiyaan – The Legend worldwide in cinemas this December 2013. Poised as the grand finale film of the year, Kochadaiiyaan will rival and transcend the CG capabilities utilised in such Hollywood masterpieces as Avatar, Tin Tin and Beowulf. The avant-garde film features the unique visual mastery of Photorealistic Performance Capture technology, a first within the realm of Indian film-making. Kochadaiiyaan is an epic dramatisation of good versus evil starring South Indian megastar Rajinikanth who is cast as the archetypal superhero in a dual role. Also starring in the grand production are Indian A-listers Deepika Padukone, Jackie Shroff and South India’s leading stars R. Sarathkumar, Nazzer, Aadhi, Shobana and Rukmini. Providing the musical score is maestro and Oscar-winning composer A R Rahman, whose list of credits includes a BAFTA, a Golden Globe and two Academy Awards for his outstanding musical compilation for the multi-Oscar winning film Slumdog Millionaire. The story, screenplay and dialogues have been penned by K S Ravikumar and the lyrics by National Award Winning lyricist Vairamuthu. Kochadaiiyaan stemmed from the grand vision of the director Soundarya Rajnikanth Ashwin, a talented and forward thinking filmmaker who is well versed with various trend setting film techniques. She says: “My ambition has always been to immortalise my father and bring the legendary Rajinikanth that audiences around the world adore in an ‘avatar’ he hasn’t ever been seen in nor experienced. During the making of Kochadaiiyaan, I began to realise that through the medium of this film, we had to embrace a much broader aim which had the potential to be a game-changer for Indian cinema on a global level. I have been passionately involved in film animation techniques and production for the last six years and for Kochadaiiyaan we wanted to do something unique and to create a new cinematic experience for India. To achieve this we decided to use Photorealistic Performance Capture technology which allowed us to have unlimited creativity on all grounds from building lavish sets, directing expansive fight sequences and creating elaborate costumes. Through the film, we will be able to transport audiences back to historic India and provide them with a much broader sensory experience. The British funded project by reputed producers Mediaone Global Entertainment Limited and the AIM listed company Eros International has been shot exclusively at Pinewood Studios in the UK with a team of world-class technical experts including the London based Centroid Studios, a state of the art facility for Full Body Motion Capture, which have worked on various famous Hollywood productions including the recent Brad Pitt starrer World War Z, Pirates of the Caribbean, Ironman 2 and Harry Potter, and Counter Punch Studios from Los Angeles, who have been behind successes such as Beverly Hills Chihuahua. They worked in collaboration with Faceware Technologies, who have worked with The Mummy 3 and The Curious Case of Benjamin Button for the Facial Capturing technology. A team of technical experts from South India and China have worked on the animation and the overall completion of the project. India’s first Photorealistic Performance Capture film Kochadaiiyaan – The Legend is not only set to transcend boundaries creating a market first in the realm of world cinema but will cement Indian Cinema’s place indefinitely within the global film fraternity. 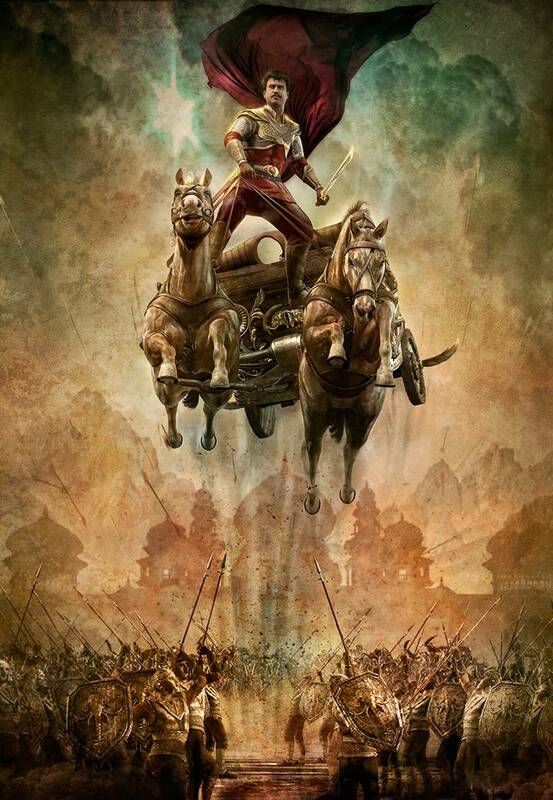 Kochadaiiyaan – The Legend releases worldwide this December 2013. 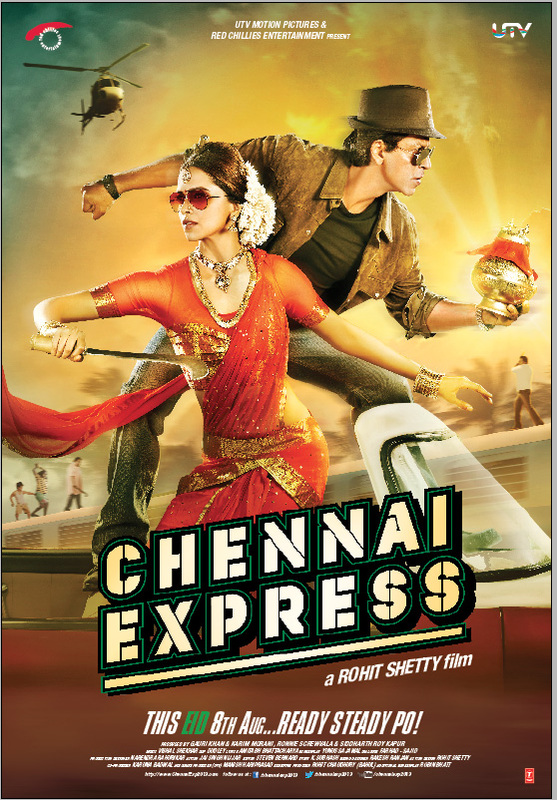 We’ve kept you waiting but finally our Chennai Express Upodcast Episode is finally ready! Shahrukh Khan, Deepika Padukone and Siddarth Roy were in town promoting their biggest Eid release which has also become the biggest box office earner in the history of Hindi Cinema. How long it will be able to hold that position is another story with Dhoom 3 and Krish 3 (I refuse to learn how to write the title of this movie) releasing soon. So being in the unique position of attending the Press Conference, the journalist round table as well as doing a 1-2-1 interview, we had so much content for our listeners, it took us a while to find the right format since none of us are genius editors as the listeners of our shows know too well. If you want the Video interview head over to HeyUGuys by clicking here. Rohit Shetty and Shahrukh Khan’s collaboration Chennai Express finally hits audiences with it’s first proper trailer and the result is an odd marriage of established tropes of both these brands. We have SRK character named Rahul, who helps girls catch their trains, he runs a lot in slow motion and ends up with a bloodied mouth at what I’m guessing is the climactic battle of the movie. Rohit Shetty on the other hand provides us with saccharine cinematography, car flips, a horrible soundtrack and everyone dangling from wires. The oddest choice is to give heroine Deepika Padukone a very strong South Indian accent, I have to admit I did not see that coming. On the one hand it’s interesting to see that it’s Deepika that’s providig the only bit of originality we can find in this trailer, she is at least trying something different and there is always a fine line between being humurous and being offensive. The other surprise of the trailer is how much it is banking on the previous successes of Rohit Shetty rather than King Khan for this movie. 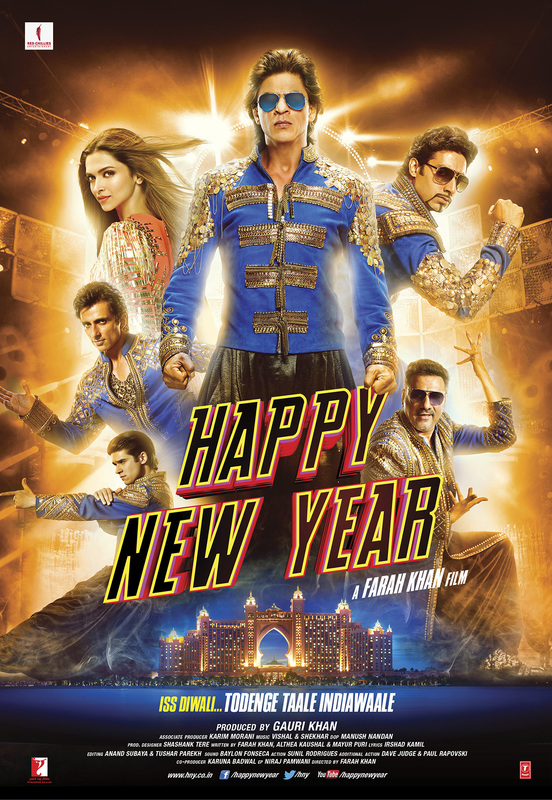 Our good friend FilmiGirl pointed out that Chennai Express is looking like the South Indian minstrel show to her on our Bollywood Mid Year Wrap Up UPodcast (going live tomorrow evening) and I’m not sure anything that the trailer shows us will prove her assumptions wrong. 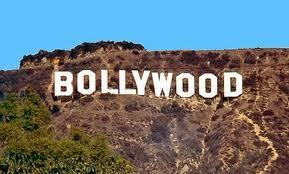 But on the other hand both Rohit Shetty and Shahrukh Khan can’t be called subtle in anyway when it comes to humour. This trailer definetly makes me want to watch the movie, which is a feat in itself when it comes to Shetty’s brand of cinema. Although it just seems odd that I won’t be getting an Eid release from that other Khan instead this year. Tied in with the release of Yeh Jawaani Hai Deewani in theaters everywhere, we bring you a very special interview with did with the one and only Ranbir Kapoor right here in London during his press tour. As usual we have our set of quirky questions to ask our guests and I am pretty sure you will enjoy our chat. For the first time as an intro we are also lifting the veil on what goes on behind the scenes of these press tours and give you “5 things I learnt when meeting Ranbir Kapoor” where I drop the guise of any journalistic integrity you might have thought i had. If you like this segment do drop us a line in the comment section or on twitter and we will definitely do more of these. For the meantime enjoy our interview by downloading, streaming or subscribing in iTunes. Having grown up in the 90’s it’s virtually impossible to not be huge fans of Madhuri Dixit, probably the last legendary heroine Bollywood has produced that exuded old world charm together with an abundance of talent, which made her reign supreme for more than a decade. Although her return to Bollywood with Aaja Nachle had it’s merits, it didn’t light the box office on fire and since then we havent’ seen Madhuri on the big screen. 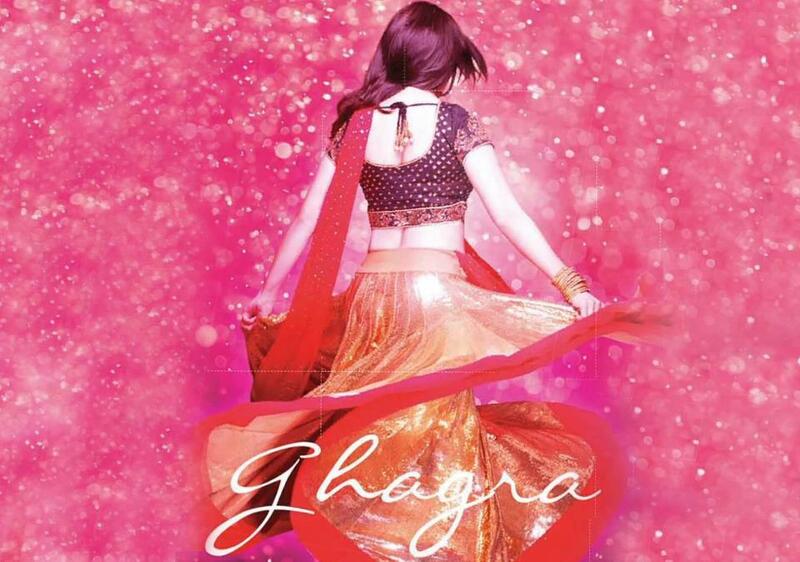 But that is about to change with her taking on roles in Gulab Gang with Juhi Chawla and Dedh Ishqiya, until then we have her doing a special appearance for Yeh Jawaani Hai Deewani and she clearly bring back her sparkle on screen. Ranbir Kapoor is such a charismatic performer, it’s the first time someone has really been able to take away attention from him. Can we all agree not to call this an Item number? Madhuri deserves more than that! We did an Upodcast interview with Ranbir that we will be posting the week of release which is very soon so keep your eyes on that! Until then, let us know what you think of the song in the comment section below! 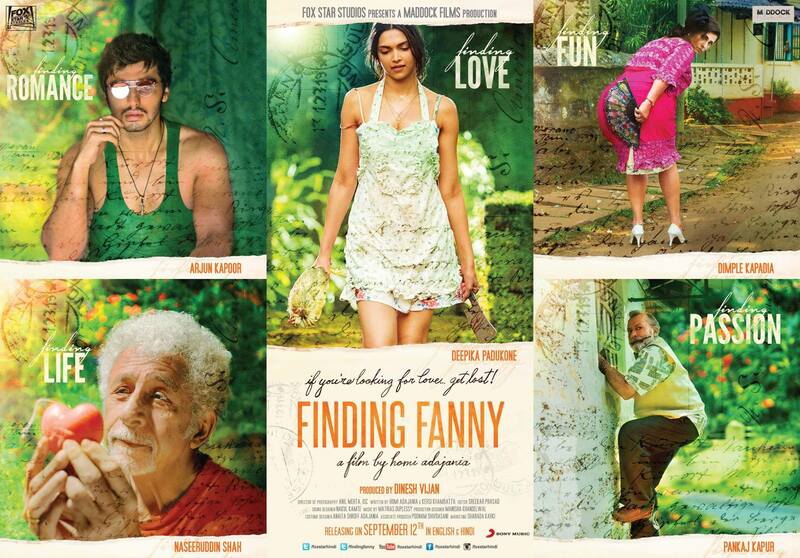 Lafangey Parindey (directed by Pradeep Sarkar ) is the product of a confused studio,Yash Raj films. Once the most illustrious productionÂ company in India now a factory of cookie cutter, bland and utterly forgettable products. A studio that just doesnâ€™t understand anymore how to recapture their old glory and Lafangey Parindey is the another final grasp of desperation from Â a man trying to hold on to anything he can whilst plummeting to the debts of mediocrity, this movie is basically Hans Gruber falling off the Nakatomi building! 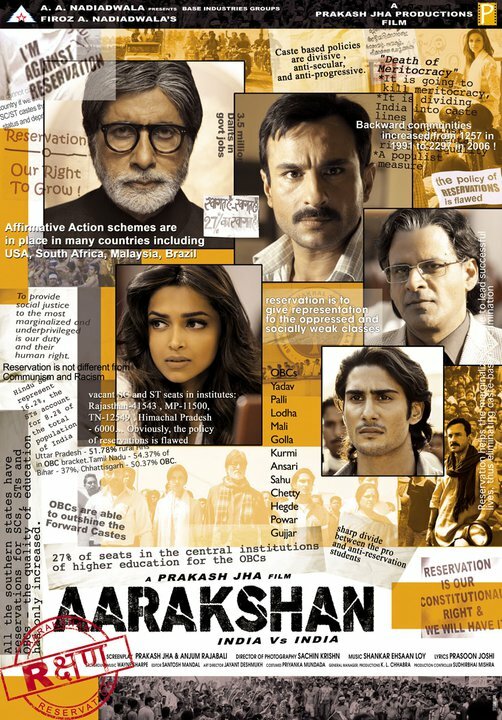 Our fiend Ness from ShahrukhIsLove Â and I decided to do a double review for this movie as we stumbled across it on the same day and decided/were forced to watch it. You can find her review here which is a great piece of writing although I do not agree with much of it. Ness found a lot of enjoyment out of Lafangey, I unfortunately found almost none. To summarize the plot, Nandu is a sweaty, grease-laden underground fighter with heightened extra sensory perception or an acute sense of smell (must be one of the two as he can knock out his opponent blind folded with one single punch). Â Before the movie starts( in the part we don’t get to see), he hires a team of communication consultants to come up with the perfect catchy nickname which would look good on Â billboards and publicity hoardings as well give him exactly the right street amount of cred for his homies and peeps who he enjoys taking motorcycle rides with. Â After holding focus groups, in depth motivational analysis and finally a Don Draper-type eureka moment they came up with the name â€œOne shot Nanduâ€ and there was much rejoicing. Armed with a snappy nickname, his band of motorcycling cronies and his desi-street lingo dictionary (although nothing of Govinda level: â€œHaata sawan ki ghata kha khuja ke batti buzhake soja nintukale pintukale..Raste pe khadeli Anty bajarahi hain baar baar ghanti..atale watae shaane..Kulla ghuma ke pashchim ko palat..phutale watale shaane..â€-Deewana Mastana) Nandu is ready to take on the world if he can find time between some horribly choreographed dancing and inspiring a few precocious SlumDog Millionaire-rejects. One Shot is student of the Bobby Deolâ€™s school of boxing, he decides that you donâ€™t need to tone or train any part of your body to be a professional fighter. Just a few pushups here and there suffice! He feels a promotion is well deserved wants to take the next step career wise to major league Goondabaazi so he asks Anna (the criminally underused Kay Kay) Â to take him on his next Goonda related assignment. Will Pinky manage to find a dance partner? Will Nandu be able to come to grips with his guilt? Will they fall in luuurv sweet luurv? This movie is filled with Tarantino-esque movie references or Â Anu Malik type â€œinpirationsâ€ but since the performances by the leadcast are pretty monochromous It is never clear which is which. Here are some of the blatant dÃ©jÃ vu feelings I had explained through the magic of math! The point being we have seen this movie already a million times and Pradeep Sarkarâ€™s treatments adds nothing to the journey we take with these characters. Every beat is predictable and every dialogue uttered by the lead pair sounds false. I donâ€™t know about these new actors lately, they are not able to convey true passion in their performance anymore, I just donâ€™t believe these people have any true feelings for each other. ShahRukh Khan always claimed he can romance a tree if needed, I just donâ€™t see the same ability in the new Brat Pack of boys and girls and I do miss that essential Bollywood component to give me a full massala flavor. 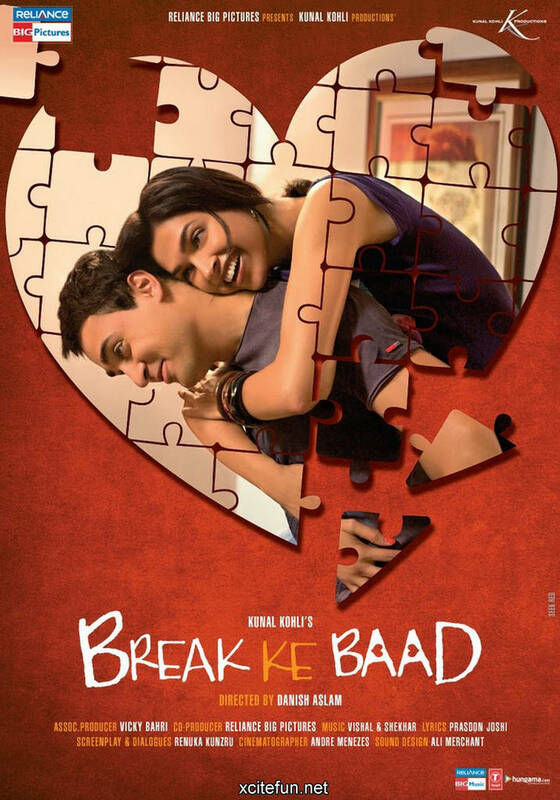 That chemistry between the lead pair is completely lacking between Deepika and Neil. Deepika, I worry less about since sheâ€™s quite easy on the eye which seems to be the most important factor of succes in bollywood movies, and if Priyanka Chopra can win a “best actress” award there is hope for Deepika. Plus she plays a blind girl which means she can mostly look away and stare blankly which she does pretty well. What I did like about the Lafangey Parindey was Kay Kayâ€™s performances,Â which was blink-and miss ni length but itÂ made me at least take note of what was going on and beggars can’t be choosers.Â the otherÂ was the song “Man Lafangey” by the always excellent Mohit Chauhan. The production values are high but itâ€™s covered with the same YRF gloss that makes all their movies look exactly the same. Yash Raj films needs to fire their entire art department forÂ being lazy for the past 12 yearsÂ and then read this article by Cracked: 5 Annoying Trends That Make Every Movie Look the Same. I’ really have been racking my brain but that truly is it! Also if you want to see convincing fight scenes filmed in grizzly grey tones since thatâ€™s what the movie poster promises us, watch this underwear ad starring Salman Khan. Lafangey Parindey? More like disease infected pigeons! If you agree or disagree, leave us know in the comment section below! It’s time for a run-down of some of the hottest trailers coming from the outsourcing capital of the world! We all need a bit of spice in our lives (unlessÂ you suffer from IBS then you should clearly avoid anything relating to Bollywood or Mexican). And I look forward to the new batch of emotional overdoses coming our way.